Love is a beautiful, inspirational, and quivering feeling. When you experience it, you are ready for much for your beloved. First of all, of course, you want to admit your feelings in some interesting and original way. This moment dumbstruck with many people, because to do something unusual, there is a desire and ideas and experience – no. Especially when you want to make a unique first impression and present yourself in the best light. 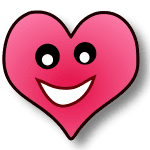 There are many ways to beautifully admit love to a girl or wife, in this article we’ll look at applications for your Android and iOS smartphone that will help take the first step and tell you about your feelings. 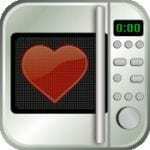 These applications are suitable not only for the male but also for the female audience because they also have a declaration of love for the husband or boyfriend. Therefore, if you are a girl and decided to pleasantly surprise your beloved man with a sweet confession, then do not pass by! Being installed once, interesting and original recognitions will always be at hand, it’s faster and more convenient than searching them every time on the Internet or suffering in attempts to come up with something from yourself. A declaration of love in verse is a classic way of confessing one’s feelings, which does not become less relevant over time. 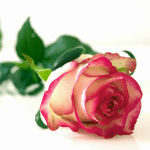 A beautiful poem about love will suit both for the first recognition and for warming up the feelings of the spouses. 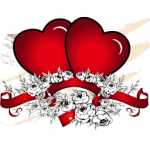 In this application, you will find the original verses for the husband, boyfriend, wife or girl. To admit love beautifully without resorting to rhyme is quite difficult. Verses in themselves evoke tenderness, but if you want to speak specifically in prose, you will have to try hard. This application will help you out, help you formulate your own thoughts or, which is very likely, you will find here those love confessions that are right for your halves. 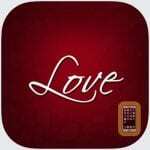 The application contains a declaration of love for the girl, wife, husband, guy. Any text can be quickly sent to the addressee in any convenient way. 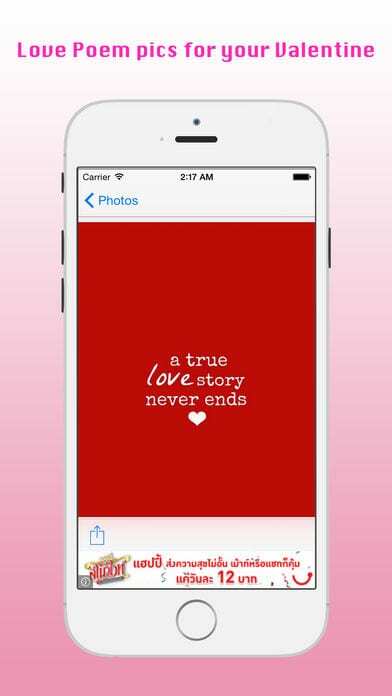 The app contains statements about love, quotes, and poems. 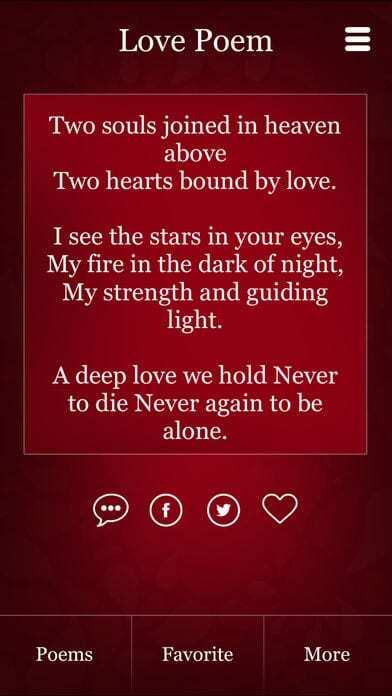 Beautiful and heartfelt declarations of love for a loved one will help you to find mutual understanding and strengthen the emotional connection with someone dear to you. The best and original words of confessions in love will help you to maintain and strengthen relationships, bring joy and pleasure. Especially such recognitions are relevant on the eve of the day of all lovers. 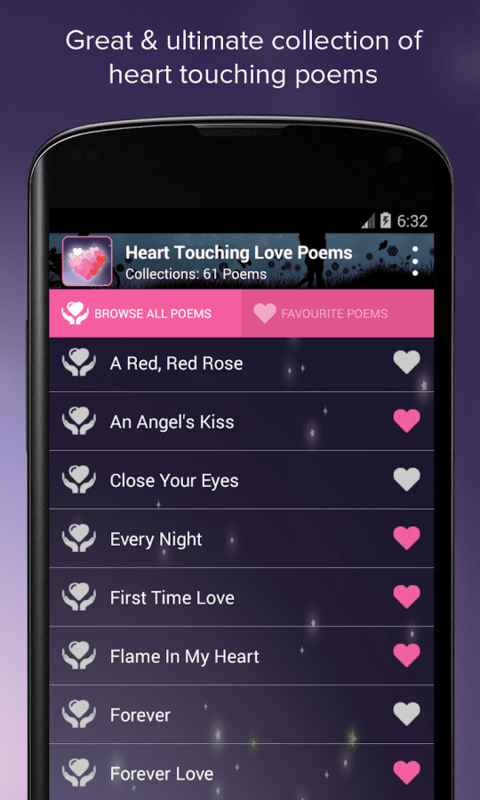 This application contains a declaration of love in verse for you and your loved ones – only the best, only the original! Poems about love conceal in themselves the warmest and tenderest words of affection, kindness, and sincerity. 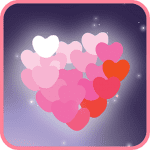 If you find it difficult to formulate your thoughts in a beautiful and concise speech or poem, this application will help you find suitable confessions of love. With the help of such wishes, you can express your most intimate, cordial, open and frank dreams and fantasies. With the help of such recognition, your relationship with a loved one will become more open, honest, sincere. Such poems ignite in the heart of each person a spark of hope and love for an expensive person. With your confessions, you will establish long and warm relations. Having received such a wish, the addressee will be pleasantly subdued and pathetically touched by your attention. Do you like a girl or a guy, but you do not have the courage to admit your feelings? Or have you been married for a long time, and you want to warm your feelings? This application is ready to help you. Just download it on your phone and enjoy it with pleasure. The program automatically generates a huge number of poems, then reads it into the voice of your second half. Undoubtedly, the beautiful voice of the Autobot will not leave anyone indifferent to whom these beautiful poems will be dedicated. It happens so, you love a young man or a girl, and he (she) also knows about it but does not dare to take the first step. But, even when you decided to take this first step and confess your feelings, the second question arises: “How beautiful is it to admit love?”. 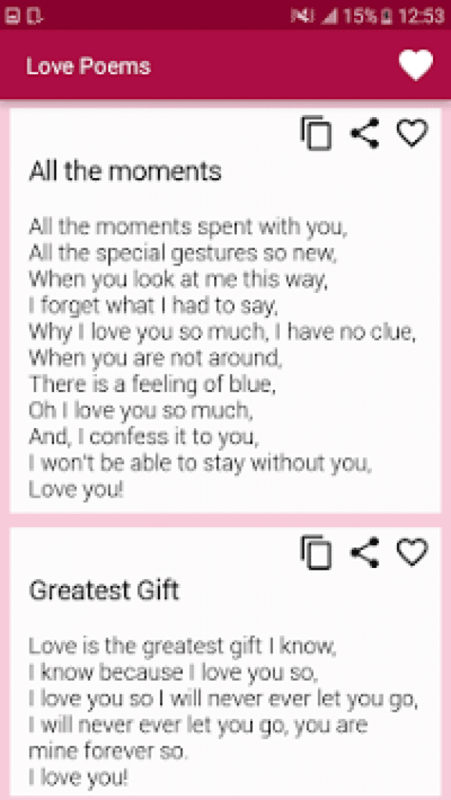 It’s not difficult when you have a mobile phone and the Love Poems Valentine application that contains a lot of verses, quotes, and expressions about love. If you think that you do not have a fantasy for confessions of love, then you, for sure, live very hard, especially when you want to make a compliment to a girl you like. Faced with such a problem, you begin to search the Internet for poetry or confessions, but, more often either they all have heard a hundred times, or they sound boring and cliche. 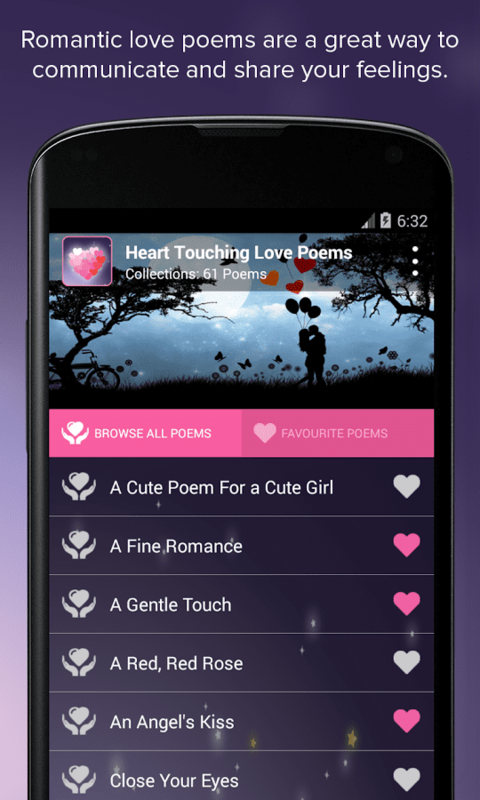 In this case, you will need the Love Poem application, which will make your life easier. After all, this is a huge collection of confessions for all occasions. Send messages that really surprise your soul mate. It can be all sorts of love letters or small romantic elements of life, like the wish of a good morning or a good night. Be romantic and unpredictable. What can be more beautiful and desirable than love? After all, it is this feeling that makes you soar in the sky, forgetting about all the problems and worries. But no matter how strong feelings are, sometimes it is so difficult to express them in words, picking up and saying all that is necessary and important about your feelings. It’s original and beautiful to admit your love to a girl you like thanks to the confessions presented in this application. Only here you can find the warmest, sensual and beautiful confessions not only in prose but also in poetry, romantic wishes. Or maybe you are a quivering girl, who is afraid to tell her feelings to a young man first? Then these confessions of love will help you make this important in your life the first step, thereby subtly hinting at their pure and romantic feelings for him the only one. Let the confessions of love become for you a frontier that will resolve your future relationship, give them certainty and confirm your mutual desire to be together forever. 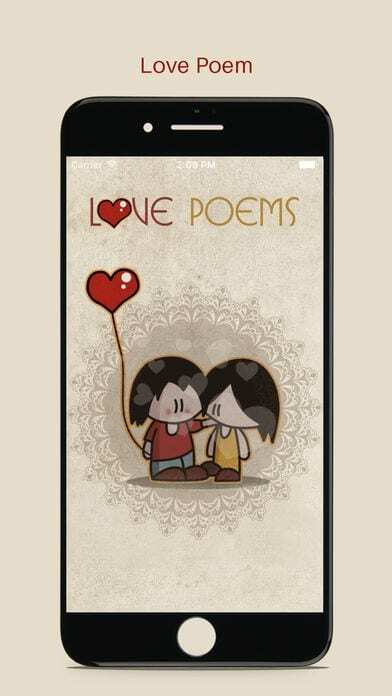 The free application Heart Touching Love Poems is a great collection of love poems that are always at hand on your Android. Poems are an excellent way to express feelings, to say beautifully about what it is difficult to find words for and do it not in some way, unskilfully, but using beautiful and touching words of love lyrics. Poems conquered the hearts of ladies for many decades. 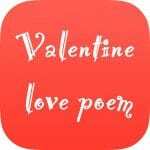 When there is a need to find the necessary verses – Heart Touching Love Poems becomes a convenient assistant and a tool that has everything you need for this. 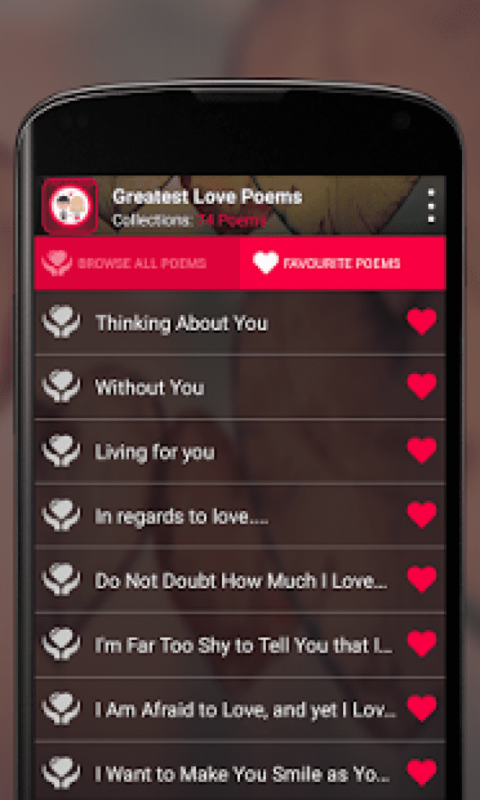 This application will help you to surprise your soul mate beautifully and effectively with the help of beautiful declarations of love in verse and prose. Confessions are updated daily, so you can please loved ones often and in an original way. Have you been in love with a girl for a long time, but you just cannot decide on a frank and sincere declaration of love? Are you afraid that she will not reciprocate, consider you tedious and unconvincing? To conquer the heart of your beloved, you need to find exactly those words that will touch the strings of her soul and make the heart tremble. A declaration of love for a girl is an exciting and important step in the life of any guy, a man. A declaration of love to the wife is a touching reminder of one’s feelings, which can add more warmth and romance to the family life. These confessions can sound equally fine both in prose and in verse. However, in both cases, it is important that the love confession be beautiful and sincere, as in these declarations of love. Declaration of love is an exciting, beautiful, and truly sincere moment of our life, the moment when we tell a loved one about our feelings. How to admit love, what is the recognition in love of a guy, a husband and a declaration of love to a girl, a wife, how to confess love for the first time or just to warm the extinct feelings. 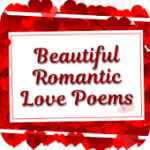 But it’s not always easy to make a beautiful and capacious confession, but in this, you will benefit from the application Beautiful Romantic Love Poems For Your Beloved. Here you will find poems full of love and sincerity. With the help of them, you can express your feelings to your second half. Love is a feeling, the ability to which a person is granted by nature from birth. A declaration of love in verse can be serious, gentle-touching to tears, cool or with notes of playfulness for lovers of easy humor. The object of your attention will necessarily appreciate your words, even if it is sarcastically related to tenderness. 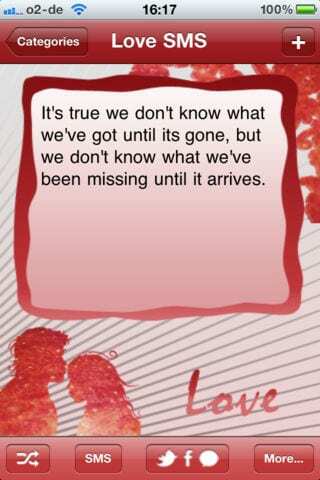 Tell your loved ones about how much they are dear to you. Use the simplest tool to do this – in a word. 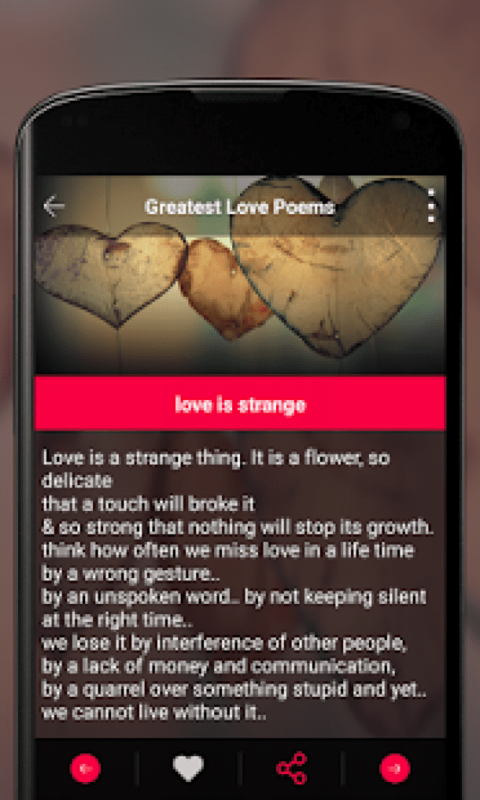 Write them a gentle message in poetic form on the phone, using this application. It is not necessary to write the original confession in verse, not everyone has this gift from nature. But this is not an excuse for disappointment and refusal to express your feelings! 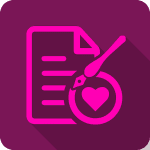 This application presents a variety of poems-recognitions for any occasion and for any person you want to remind of your emotions. You can choose a suitable recognition at any time and anywhere if you download this application to your phone. 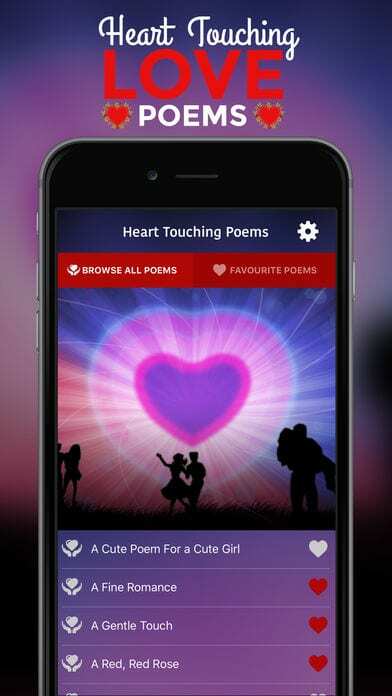 Next, you can choose any favorite poem or quote and send it with the SMS, trying to get close to your love. Here you will find tender words in verse, prose, and expressions for loved ones and spouses. Remind your feelings to dear people, warming them with kind words as often as possible! A declaration of love to a girl or boy is an exciting and important step in the life of any person. A declaration of love to the wife or husband is a touching reminder of one’s feelings, which can add more warmth and romance to the family life. These confessions can sound equally fine both in prose and in verse. However, in both cases, it is important that the confession be beautiful and sincere, as in these confessions. Beautiful poems, sad, happy, letters of love, confessions and revelations, and, of course, sensual verses. 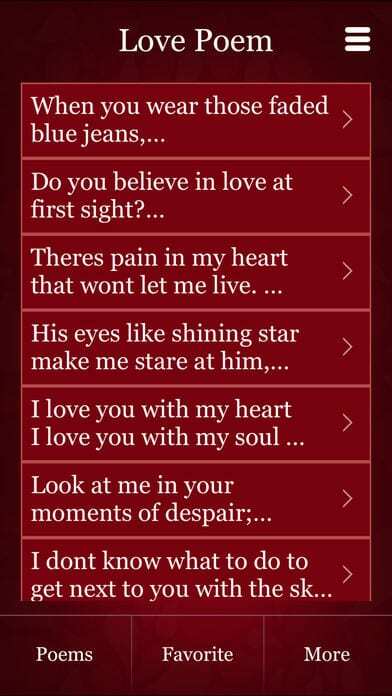 All this you will find in the Love poems & Romance poems application. This application differs from the previous ones primarily in the size of confessions (fewer characters) and will be convenient for sending by SMS or in instant messengers. 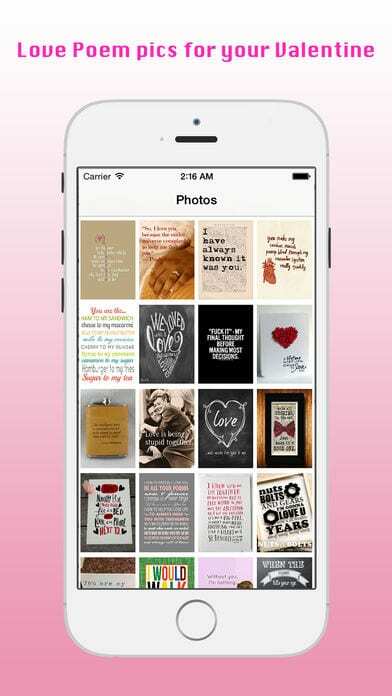 A collection with SMS about love will suit those people who want to please their beloved ones every day. Choose the most appropriate confession from a large list of SMS and send it from the morning of your favorite to work – be sure there are no girls who do not like it and who would not appreciate it. If you are a representative of the beautiful half of humanity, such an application will definitely help to surprise a husband or a guy. 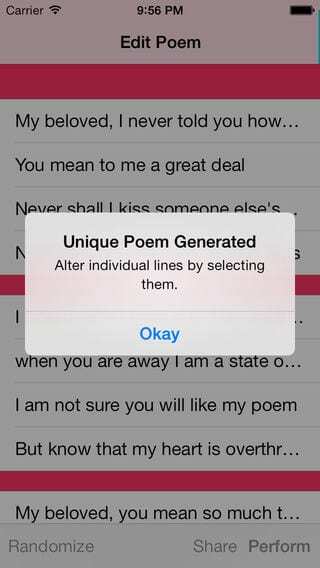 In the application, there is the collection of SMS in the form of poems about love, and confessions in short prose.